This restaurant and catering establishment is a historic and iconic Madrid gourmet institute. Right beside Puerta del Sol people dash by without realising that some of Madrid finest traditional Spanish cuisine is being served in the lavishly decorated restaurant upstairs. 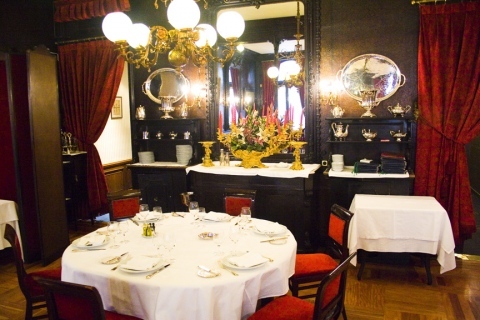 Since 1839 L’Hardy has been serving excellent quality food to the delight of critics.